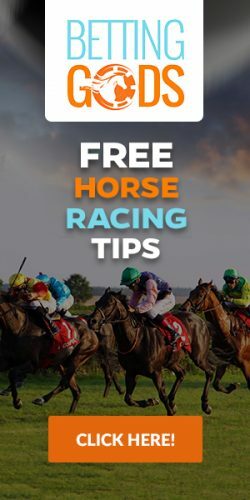 If you have been reading EZ Horse Betting then you already know that the Pick 6 is a horseracing bet that has the potential to put life-changing money in your pocket. While it is not uncommon to see winning Pick 6 tickets pay five figures or more, the Rainbow Six (sometimes called the Fortune Six, has paid out more than $5 million US dollars to a single winner. It is horseracing’s version of the lottery. What is the Rainbow Six? The Rainbow Six is a Pick Six with a twist. Just like in the Pick Six, you must pick the winner of six consecutive races that are usually the hardest races to handicap on a given day at one track. However, unlike the standard Pick Six, the Rainbow Six only pays out when there is one winning ticket. In a standard Pick Six it is not uncommon for more than one player to have all six horses on a ticket. When this happens the pool is split among those who hold winning tickets. In the Fortune Six, the pool only pays out when there is one winning ticket. If more than one player correctly picks all six horses, a consolation payout is made and the majority of the betting pool carries over to the next racing day. The largest Rainbow Six payout to date was awarded on Memorial Day weekend of 2014 at Gulfstream Park in Hallandale, Florida. Dan Borislow, a horse breeder and telecommunications entrepreneur, collected $6,678,939.12 by being the only player to select all six winning horses. The cost of this winning ticket: $0.20! Many tracks are now offering a Rainbow Six as a part of their betting menu, and the best part is that a single ticket for the bet usually cost ten or twenty cents! In addition to some expert handicapping that will allow you to select six consecutive winners, playing and winning the Rainbow Six requires a bit of strategy. There are a couple of things you can do that will increase your chances of winning this big bet. Play a wheel. A wheel is a ticket where you use multiple horses in each spot. In the case of the Rainbow Six you would pick more than one horse in each race to win. You might be wondering how that works since the Rainbow Six is only paid out to a single winning ticket. The answer is that each combination you bet is a single ticket even though you will pay for your selections in one lump sum and receive one betting slip. Be sure to check out the section on EZ Horse Betting that explains how to bet a wheel. Don’t play until the pool is high. Remember, the Rainbow Six carries over each and every day until someone wins the pool. In the beginning the pool will be small…less than 100K. Because the bet is so hard to win you can wait until the pool reaches $1 million or more before jumping in. Let the pool carryover until it gets high and then start betting. Just like any other gambling enterprise, you have to manage your betting bankroll properly. Only play the Rainbow Six when you can maximize your potential reward. There are others tracks now offering this elusive bet and more are being added every day. All of the racebooks recommended by EZ Horse Betting will allow you to play this bet online. TwinSpires, BetAmerica, and many more offer the Rainbow Six bet. Can you think of any other bet where you can spend $0.20, or even a single dime, and win $1 million, $2 million, even $5 million dollars? That is one of the great things about horseracing. A player with a very small bankroll can still participate in the fun right alongside the big players. Who knows, you could become an instant millionaire. It won’t be easy. You’ll need to study the resources on EZ Horse Betting and learn how to read a racing form. You’ll need nerves of steel and the guts to bet a longshot when you think they have a chance to win the race. Nevertheless, if you have patience and dedication, you just might win life-changing money. Along the way you will certainly have fun cheering your horses to victory. There are few things in the world of horse betting more exciting than having a live ticket on the last leg of a Rainbow Six!